For the first quarter of 2014, SeaWorld said it generated revenues of $212.3 million, down from $238.6 million the same quarter a year ago. Overall, SeaWorld said its net losses after expenses were $49.4 million, about $9 million more than the losses incurred a year earlier. SeaWorld’ stock price fell nearly 2 percent to $29.34 at the close of trading on Wednesday. The potential for an overseas development has been alluded to in the past but Wednesday’s announcement was the most specific to date. 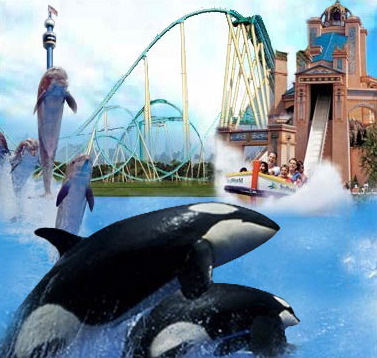 Still, despite efforts by analysts to learn more about the project, SeaWorld executives said they could reveal no more. Chances are, however, something firm will materialize from the memorandum of understanding that SeaWorld has entered into, they added. “We wouldn’t have discussed the deal in our earnings call if we didn’t like the chances of getting something done,” said Jim Heaney, chief financial officer for SeaWorld. And by the way, SeaWorld proudly disclosed that it has set a new record – it is now squeezing more money out of each visitor – as ” per capita revenue of $69.72, [was] up 2.2 percent, … a new record.” Here’s the original.